Here is your loyalty round up for Thursday! Tbe best news, tip and trick for today is the 1,000 Free Gold Points from Club Carlson! Be sure to grab those sooner than later just in case they run out! See the link right below this. Here are our blog posts since the last update just in case you missed them. Yet another Air France and KLM sale to bring you! 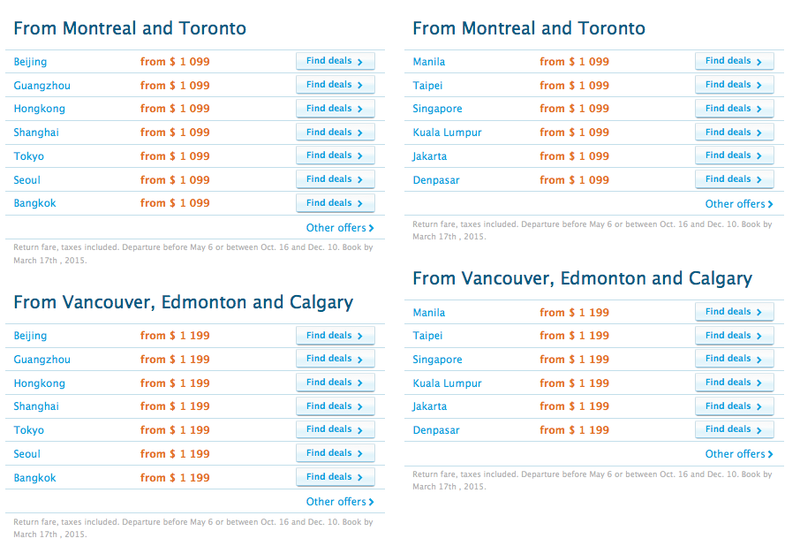 This time they have some great fares from Canada to Asia with free stopovers in Amsterdam or Paris. $1,099 all in from the East and even better only $1,199 from the West! Book online at airfrance.ca or klm.com by Mar 17 for travel until May 6 or Oct 16 and Dec 10.